Panasonic has launched Eluga A4 smartphone in India which comes with 5000mAh battery and Fingerprint Scanner. It has a 5.2-inch HD 2.5D curved glass display powered by a quad-core MediaTek MT6737 processor with 3GB of RAM and 32GB of internal storage. Dual SIM device runs on Android 7.0 (Nougat). 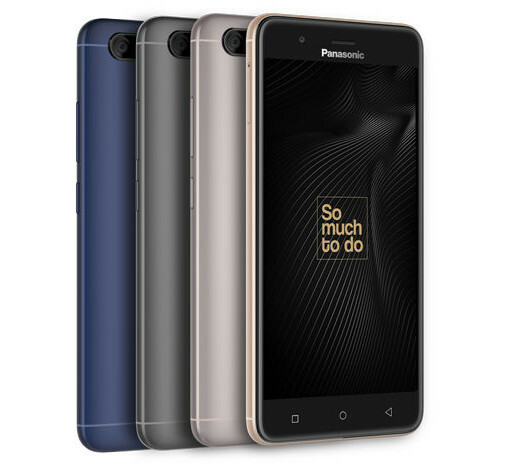 Panasonic Eluga A4 comes in Mocha Gold, Marine Blue, Champagne Gold colors, is priced at Rs. 12,490 and is available from retail stores across India. At this price point Redmi Note 4, Lenovo P2, Honor 6X are other options available in the market.